With a rich flavour. Foiled in freshness. Suitable for vegetarians. Simply... Put 4 heaped teaspoons of Bisto Best into a measuring jug. Add 280ml (1/2 pint) of boiling water, stirring all the time. 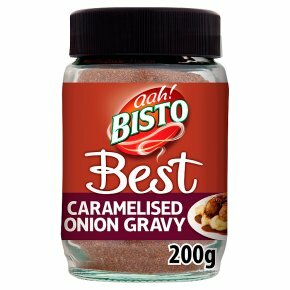 Add more or less Bisto Best to taste.